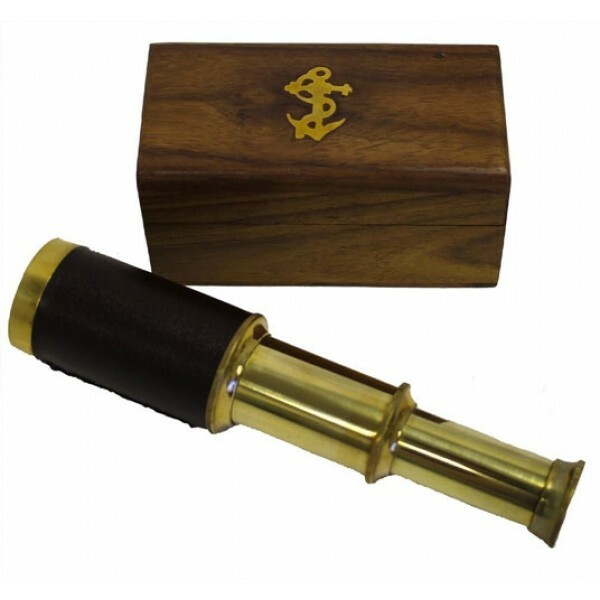 The perfect accessory for would-be pirates, this telescope is made from brass and comes with a leather handle. The telescope will magnify far away objects and landscapes with a clear image. 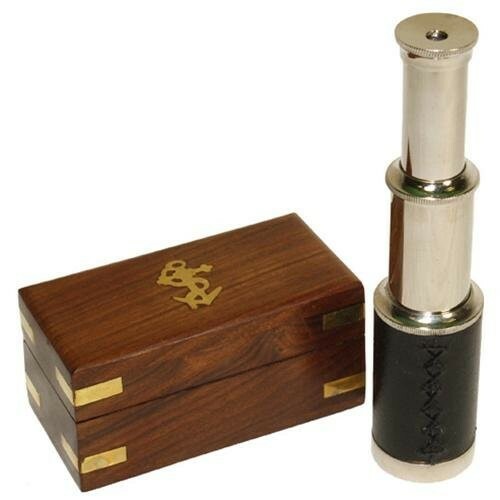 The scope extends to a full 6" and can retract to fit into its own ornate box. 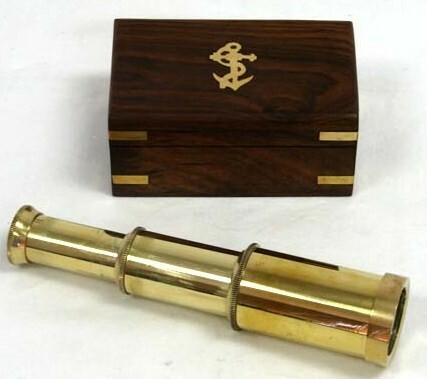 The telescope is modeled after older style scopes. It can be focused by fully extending the entire body of the telescope, then slowly contracting and expanding the eyepiece portion only. The magnification is approximately 3x. For more toys perfect for imaginative play, visit A Mighty Girl's Pretend Play section..